Hartlepool Art Studio Ltd. was created in the early 2000’s by local artists and service users at a small drop in centre which was part of Hartlepool Borough Council in a rented out garage/studio on Grange Road. In 2005, we bought our current premises in Park Road, Hartlepool and opened our doors to a wider audience. In 2011, Hartlepool Borough Council had to make severe budget cuts, unfortunately, we were a victim of these actions. HASL had to seek new methods of sustainability. The Local Authority were, at the time, rolling out Direct Payments to those that needed it so we then devised ways to use peoples Direct Payment to run our charity. 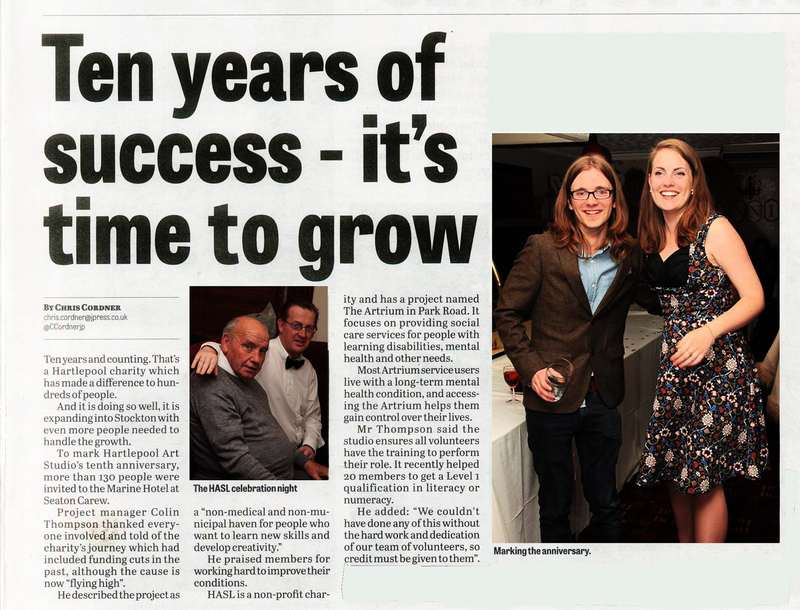 Since then we have grown dramatically, gaining more members from within the North East region. As we are a community art studio, anyone aged 18 and over may attend. However, our prime focus is, and always will be, the rehabilitation of people who have lived experiences of mental ill health but we also have members with physical difficulties and or learning disabilities/difficulties. As well as art led therapy, we also offer signposting services, support with external issues, and offer opportunities to all to undertake accredited training and options to try something new such as getting involved with community art projects. We have received many awards for our services. 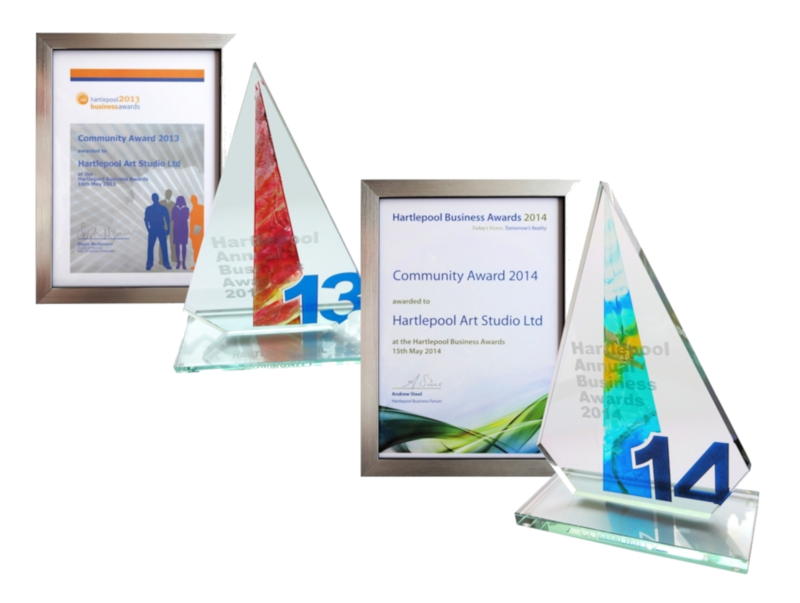 These range from Volunteer Celebrations, Health and Wellbeing Awards and Community Awards 2013 and 2014. We were recently awarded a trophy from Hartlepool Borough Council for our services to the town. We strive to help all members that access our services to improve in their abilities in arts and crafts, learning a new skill, gaining an accredited qualification or even achieving some confidence in themselves and their capabilities. Many of our members have moved into volunteering roles, gained employment or reduced the need for certain medications saving the NHS thousands of pounds in the process. Yet we do not receive any funding from the NHS.